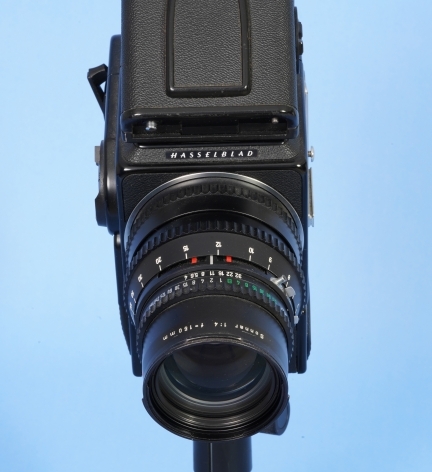 Black Body Hasselblad 2 1/4 camera body number RH 1324028. 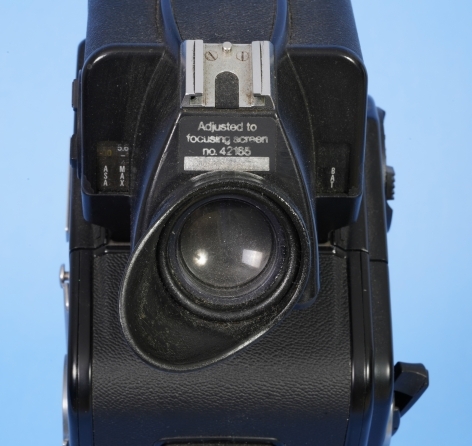 The camera has a prism viewfinder and at 220 24 frame back #RI 3524688. 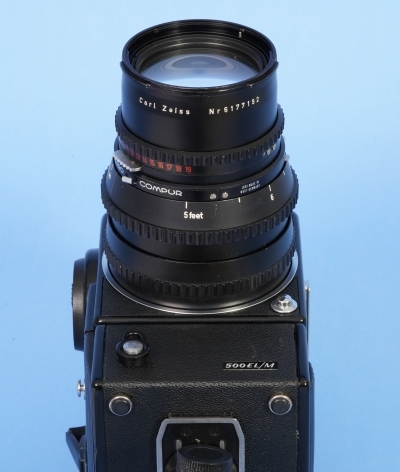 The lens is a Carl Ziess Sonar 150mm black barel numbered Nr. 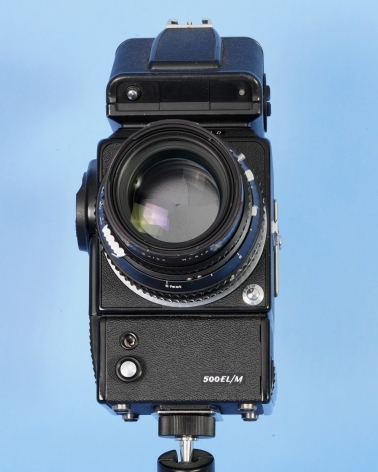 6177192. 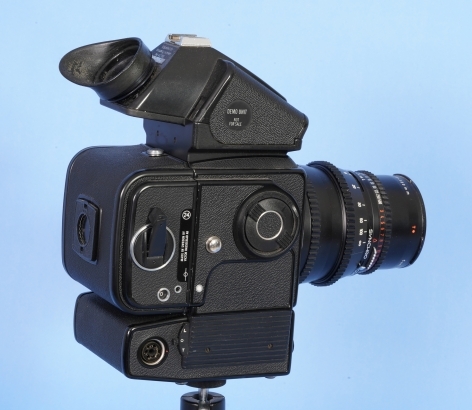 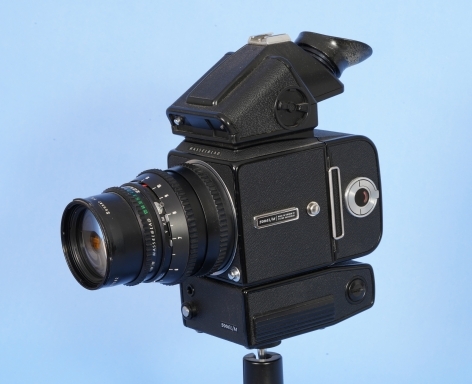 The camera has the integral hassablad black moter drive.